*Prime Bayview S/Sheppard! *Ny Towers! 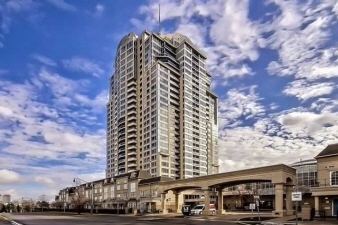 *Bright+Spacious 1Br 1Bth West Facing Suite W/Parking,Locker+Balcony Overlooking Courtyard W/Panoramic Cityscape Views! *Fab Flow For Entertaining W/Good Storage Space! *Value Packed W/Great Recreational Facilities In The Heart Of Bayview Village! *Mins To Ttc,Subway,Shops,Schools+All Amenities! *Move Right In+Enjoy! Additional Features and Amenities Stainless Steel Fridge,Stove,B/I Dw,Stacked Washer+Dryer,Elf,Window Covers,Brdlm W/L,24Hrs Concierge,1 Parking Spot,1 Locker++ *Note:Maintenance Fee Includes Everything But Taxes+Cable Tv! *Some Room Sizes Are Irreg!